Continental Corporation and Yokohama Rubber Co., Ltd. today announced that they have agreed to terminate their Joint Venture Yokohama Continental Tire Co., Ltd. (YCC) effective end of March 2016. This decision was already taken during the course of 2015. YCC was founded in 2002 to meet the global Original Equipment requirements of the Japanese and Korean car manufacturers for both Continental Tires and Yokohama Rubber. “Our Joint Venture has enabled us to establish a solid foundation for our Original Equipment business with Japanese and Korean vehicle manufacturers during the last 14 years. As part of our divisional long-term growth strategy Vision 2025 we have enhanced during that time frame our Passenger and Light Truck Tire team and capabilities to serve the Original Equipment business for the Asia Pacific region substantially. From April 1, 2016 we will start to entirely support Japanese and Korean Original Equipment customers on our own, which includes direct sales of our Continental premium tires in Japan and Korea”, said Tansu Isik, Head of Original Equipment Business for passenger car tires in the APAC region at Continental which is based in Shanghai, China. 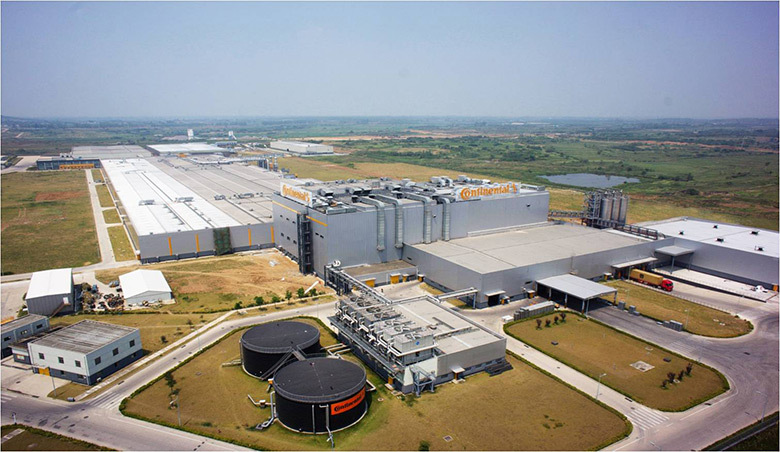 Continental today operates five tire plants in the APAC region – one in Hefei, China, in Modipuram, India, in Kalutara, Sri Lanka and two in Malaysia, in Alor Setar and in Petaling Jaya. Worldwide 19 tire plants belong to the network of Continental, nine of them in the EMEA region and five of them in the region The Americas.